IMPORTANT: COME EARLY! We just hate having to turn you away at the door. PLEASE COME ON TIME TO GET TICKETS, WE’RE USUALLY SOLD OUT BY 19:45! 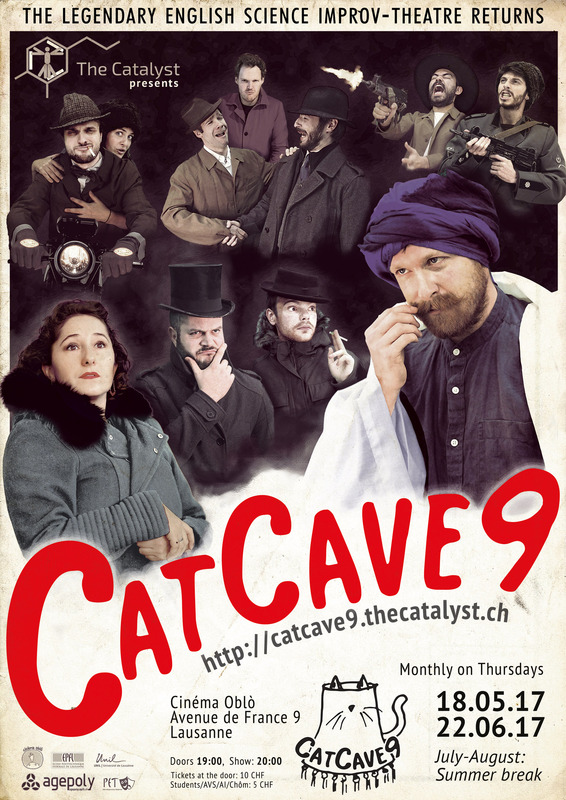 Welcome to the CatCave9 beach resort – it’s our last show before the summer break! The short-forms just came back from the beach. Now, look at their sunburns – have their parents taught them nothing? Our long forms are much more beach-savvy and prefer nice and cool spots under palm trees. They’re usually a little buzzed on Mai-Tais though; just ignore them if they start going on about funding agencies. Oh, and our science speaker arrived and is currently in bungalow 3 prepping for his/her talk.